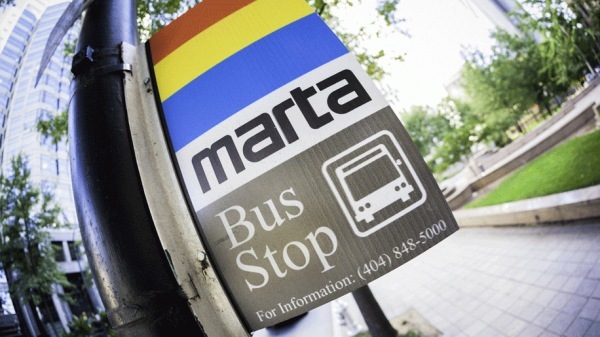 With a fare of $2.50 and a journey of just 17 minutes from airport to city centre, Atlanta’s MARTA light-rail system provides the best airport transit service in the U.S., according to a new report from milecards.com. Other top-ranked airport transit links in the U.S. included the Chicago Transit Authority’s “El” trains from Midway and O’Hare airports, the University of Colorado rail line connecting to Denver International Airport, and the AirTrain/Long Island Railroad connection between New York’s John F. Kennedy International Airport and midtown Manhattan. Of the top 20 U.S. transit links in the survey, all but one were subway, rail, or light-rail routes. Boston’s Silver Line bus service to Logan International Airport was ranked 15th, but the Silver Line buses run on dedicated roads apart from street traffic, more akin to a train line. Internationally, the Best Airports For Transit: Global And U.S. 2017 Rankings gave top marks to the Tokyo Monorail from Haneda International Airport, which whisks travellers from terminal to town in 24 minutes for a $4 fare. The Delhi Airport Express line placed second (the fare is just $1), while the Shanghai-Pudong Maglev train ranked third — it’s just an eight-minute, high-speed ride to the city.